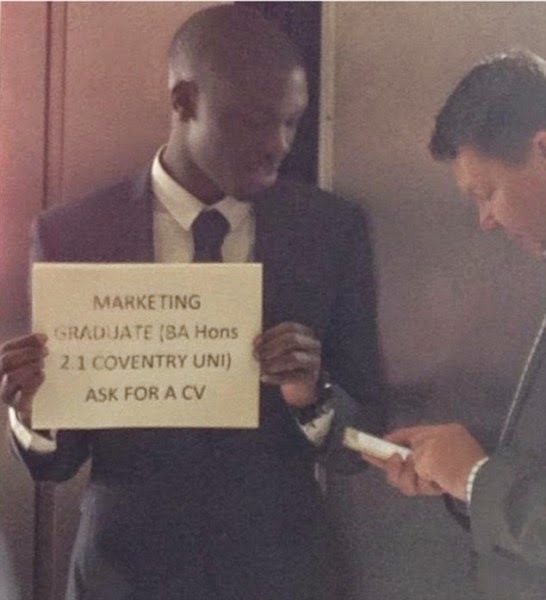 Alfred Ajani a U.K Graduate Holds up Sign Advertising Himself at a Train Station in London & Lands Job Interviews! 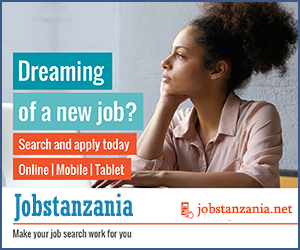 To all the job seekers out there. Perhaps it’s time to employ some unconventional tactics to start getting those job interviews! Alfred Ajani, a 22-year-old who studied Marketing at Coventry University and graduated with a 2-1 in May this year, had applied for over 300 positions and was yet to get a favourable response. His unusual approach attracted the attention of many commuters, including company bosses, who stopped to talk with him to discuss potential positions and pick up CVs. He has since received several phone calls from interested employers, and even has a job interview scheduled for this afternoon. Speaking about what motivated him to take this unusual approach to job hunting, Ajani says he was frustrated that he hadn’t found a job since May, and that the opportunities he had found weren’t areas he was interested in. He is interested in strictly marketing/advertising jobs. “I realised that there are thousands of students out there using the same old methods of applying for jobs online and through recruitment agencies and so I thought I’d try something different. I got up early and went to the station. At first people just looked at me but after about 10 minutes people starting stopping and talking. They said they’d never seen anything like it before and were really impressed,” he says. A photo of Ajani giving his CV to people at the train station made its way to Twitter, prompting many people on the social media platform to commend his efforts, and offering to assist him. BongoToday.com - Entertainment and Lifestyle : Alfred Ajani a U.K Graduate Holds up Sign Advertising Himself at a Train Station in London & Lands Job Interviews!